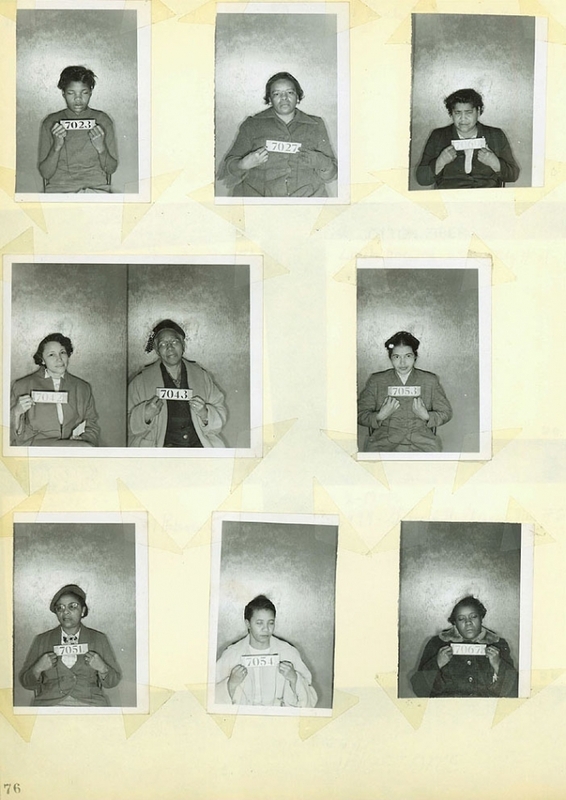 In the wake of Rosa Parks's death, a mug shot of her taken during the Montgomery bus boycotts accompanied most media accounts of the civil rights pioneer's life. That 1956 photo (and a similar one of Martin Luther King, Jr.) was discovered last year by a deputy cleaning out a Montgomery County Sheriff's Department storage room. Turns out that Alabama basement contained about 100 other historic booking photos taken at the time of the Parks arrest and, five years later, during a Freedom Riders protest. CLICK HERE TO SEE THE IMAGES, a photographic roster of heroes that once seemed lost to history. Submitted by TPTGopher on Mon, 2010-10-11 14:39. I think this page should be removed from "Celebrities" and given its own position - almost feels to me like it cheapens what these people did to put them together with Nick Nolte's wild hair or Glen Campbell's death-scowl. Submitted by clairpie on Tue, 2011-03-15 15:25. I agree but they are historical people. God bless every one of them.